At Riverside Dental Specialties, Dr. Shweta Shah with over an Decade of Experience, has built a reputation for providing comprehensive dental solutions under one roof even the most difficult, challenging & Complex cases. Using the most advanced technology and Dentistry with Care techniques, Dr. Shah is specialized in complex dentistry, achieving consistently excellent results in those patients with out-of-the-ordinary dental needs. Whether you require a routine oral examination or a complete smile makeover, Dr. Shah will work with you to develop a plan customized around your specific needs and goals Whether be it your Appointment Schedule or working with your Insurance Company or the Flexible Financial planning . At Riverside Dental Specialties, your complete comfort and satisfaction for your Dental needs are our primary goals. With the most effective and safest anesthetics and a great chair-side manner, virtually painlessly as patients relax in state-of-the-art treatment suites complete with flat-panel LCD TVs. 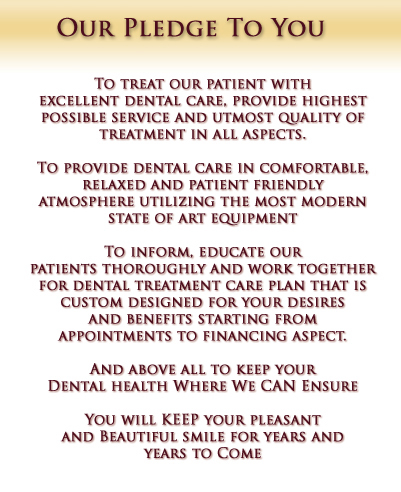 We Welcome you to discover for yourself how effective, relaxing, pain and worry free the dental experience can truly be. Riverside Dental Specialties is one of the finest and most Dedicated practices in New Jersey for the utmost patient Care and Comfort. The office has a superb team of Specialist Doctors, whose specialties, in addition to general family dentistry, include advanced cosmetic and reconstructive dentistry Dr. Shah, an prosthodontist, Endodontist, implants, and Periodontist, all working closely together to provide you with the best comprehensive care under one roof .